1)CHECK YOU CAN ATTEND ON DATE AND TIME. Eleven European countries in the European Confederation of Independent Winegrowers will be hosting a trade tasting of their wines. This event is for trade only, i.e. not open to the public, but our London Wine Tasting Group members have been invited to participate. The first 20 people who make payment of £10 will be confirmed. *It is CLEARLY a weekday and earlier in the afternoon, so only register and make payment if you are able to attend during the day and at the time. *The PayPal link works as members have made payments for this activity. Any problems, send me a private message with your PayPal link or email and I will request payment. The money will be used to get a selection of chocolates for the exhibitors and organisers on the day to say thanks for inviting us. A photo receipt showing the costs of the chocolates will be placed on the activity page. 2) You are asked to provide your email address for the organisers so that they can send you more information in future. You can then taste the wines from 15:00 – 18:00. The event will finish at 18:00. If you arrive between 15:00 – 18:00, your name will be on the list if your place has been confirmed (and you made payment) on the activity page “Comments”. DUE TO SECURITY, IT IS IMPORTANT THAT YOU SHOW YOUR EVENTBRITE TICKET - I HAVE ARRANGED THIS TICKET FOR YOU ALREADY. Please DO NOT bring additional guests on the day unless they have made payment and their place has been confirmed. 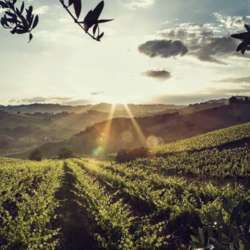 The European Confederation of Independent Winegrowers ( Protected content ) is the only international association which represents independent winegrowers in Europe. It has 12,000 small to medium sized, mainly family-run estates, in France, Italy, Slovenia, Portugal, Hungary, Bulgaria, Switzerland, Spain, Montenegro, Luxembourg and Belgium. They will be showcasing a wide range of grape varieties and blends, including sparkling wines. Please join us to discover the fantastic and innovative wines that the European Confederation of Independent Winegrowers members have to offer.